Disability Rights Advocates (DRA), a non-profit law center in Berkeley, California, is investigating the experiences of higher education students with mental illness at universities and colleges. We are interested in learning about experiences, both positive and negative. The questions below ask about your personal experience with mental health and how it has been addressed at your college or university campus. This survey is entirely voluntary - feel free to share only to the extent you are comfortable. Your personal information will not be shared with anyone outside of DRA. We will look at trends in responses, and may contact a handful of people to follow up regarding your experiences, but any information you share with us (on this form or otherwise) will be kept strictly confidential. This survey should only take 5-10 minutes to complete, and will help us in our effort to ensure that all students with mental illness thrive in college and beyond. If you would prefer to share your experiences via email or phone, please contact Monica Porter at mporter@dralegal.org or (510) 665-8644. 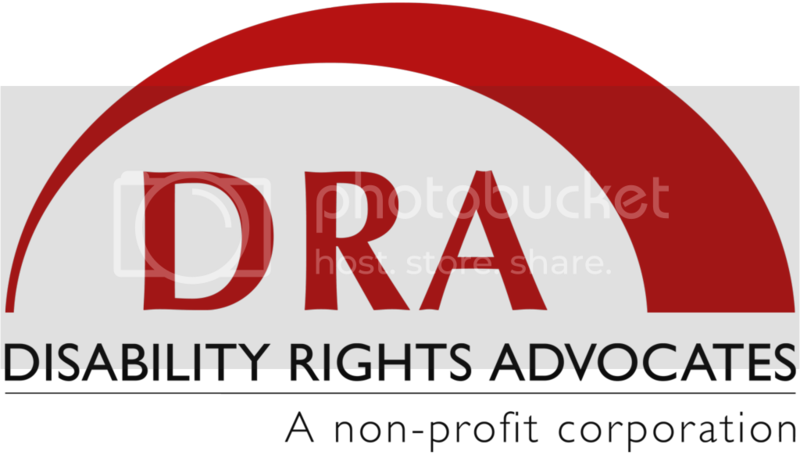 For more information on Disability Rights Advocates and our work, visit www.dralegal.org. * Have you ever been denied academic accommodations that were requested for a mental health reason? * Have you ever had to withdraw from school due to a mental health reason because you were denied voluntary leave of absence? * Have you ever been placed on an involuntary/mandatory leave of absence that was at least in part for a mental health reason? * Have your ever been denied a service dog or emotional support animal relating to mental health reasons in university-owned housing? * Have you ever been excluded from living in or visiting university-owned housing at least in part for a mental health reason?